"Boost the performance of Internet Explorer"
It will boost rendering for enabled web pages, incorporating the latest HTML5 features, making use of Google Chrome's rendering technology. It only depends on whether the websites you visit did opt-in if these additional futures will be accessed, so you might not notice you installed this plug-in on other sites. 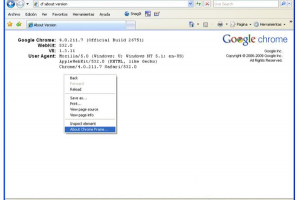 The Google Chrome Frame plug-in needs no configuration and its installation is very easy. It supports Internet Explorer versions 6, 7, 8 and 9. It can be only an advantage to have a better browsing experience using Internet Explorer combining it with the power of Google Chrome.